This isn’t unusual, is it? I mean, technically with fibromyalgia, I am always sick. I am stuck in bed. Again, also not unusual. It seems like every other day chronic pain exiles me to life between the sheets. I woke up 24 hours ago with an itchy throat which I blamed on my allergies. And then, you know how it is, my chest hurt, my throat hurt, my nose started dripping despite my Nasonex nasal spray. By last night, I was a little wreck with the feeling that a fireball was being consistently launched from my stomach up through my throat. So this is new. Ever since I got fibromyalgia, it’s been kind of creepy how many times I get sick. It happens almost never. Thankfully. Though a cough or cold often disables the fibromyalgia, the facial pain of coughing and the fatigue and lack of exercise due to a cold can trigger it in full force. Usually by the end of a cold, I’m on muscle relaxers, painkillers and cough syrup. I am trying to stay positive. 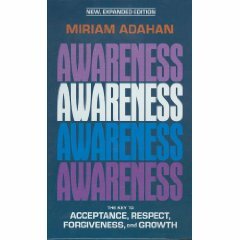 I’m reading “Awareness: The Key to Acceptance, Forgiveness and Growth” by Miriam Adaham, a frum psychology book. I have learned that my personality type is “the Spiritual Alchemist or Decadent Depressive.” This explains how easy it is for me to connect with G-d and with spirituality as well as with totally decimating depression. “Decadent Depressive” makes it sound much cooler than it is. Apparently, my motto is “I feel; therefore I am.” My super-power is, among others, empathy and the ability to feel things deeply. My weakness is empathy and the ability to feel things deeply. Thin skin, you know?